On November 26, the long-fought-for battle to legalize the recreational use of marijuana in New Jersey will take a major step when state lawmakers debate the bill to legalize its use. Debate on the law—titled “The New Jersey Cannabis Regulatory and Expungement Aid Modernization Act”—begins on November 26, and is expected to be followed by a full legislative vote on the Senate and Assembly floors. Permits cannabis delivery services and the creation of “consumption areas,” where individuals could use marijuana near dispensaries that are separate from the retail operation areas. Legalization over the final bill has recently faced delays as some in the Senate and Governor’s office disagreed over whether there should be a new commission established to regulate the new industry and what the new tax rate should be. 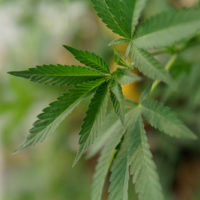 Still, the final bill contains a number of social justice aspects, from allowing individuals who have prior criminal records for possessing up to an ounce of marijuana to have those records expunged, to creating specific opportunities for disabled veterans, minorities, and women to participate in the business side. Changes are also expected to be made to New Jersey’s medicinal marijuana industry, as the Senate Health, Human Services and Senior Citizens Committee is expected to meet and approve two additional bills that will make the market more consumer-friendly and economically viable. Governor Murphy has already added to the list of qualifying medical conditions and lowered the cost of patient registration in New Jersey. New legislation that will come before the Committee is expected to help control the cost of the product, allow doctors to more freely recommend the program in general, as well as attract investors. During transitional periods like that of New Jersey’s, there can be confusion amongst both citizens and law enforcement regarding what is legal and illegal, leading to a number of wrongful arrests. If you have been charged with possession of marijuana in New Jersey, contact our experienced criminal defense attorneys at the office of Phillip J. Murphy today to find out how we can help.